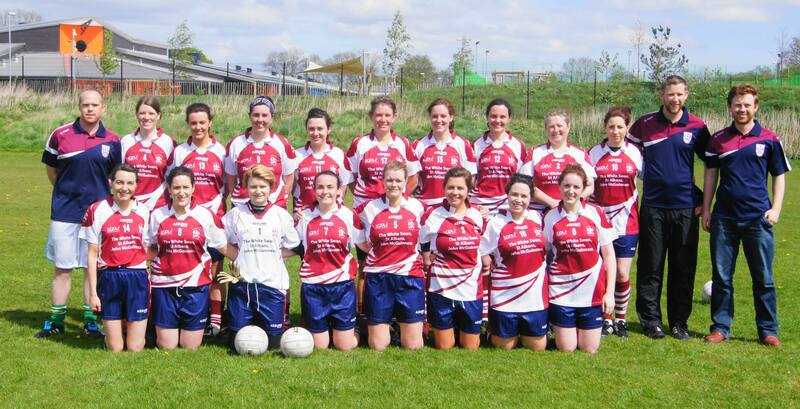 Back Row – Kevin Devlin(Manager), Orla Healy, Fiona Kennedy, Niamh Gallagher, Becki Scott, Cat Regan, Jen McPadden, Bebhinn Kennedy, Verity Townsend. Front Row – Claire Maher, Emma McGirr, Eilís Moran, Laura Fitzpatrick, Maelíosa Hardy(Captain), Ellen Beary, Jenny Dempsey, Hannah Kilgore, Miriam Dyar. Are you interested in playing Ladies Gaelic football in St.Albans? its a fantastic way to keep fit & there are plenty of social opportunities too! All abilities welcome, we currently have both new & experienced players. We have started our league matches and our season will run through the summer up until October! Training takes place on Tuesdays and Thursdays at 7.15pm at The St. Albans Irish Centre. Get in touch HERE or contact our Facebook Page! Front Row – Ann Griffin, Bronagh Coleman, Ellen Beary, Eilís Moran, Melissa McCann(Captain), Aisling Considine, Laura Fitzpatrick, Niamh O’Brien, Layla Clowes, Chloe White.